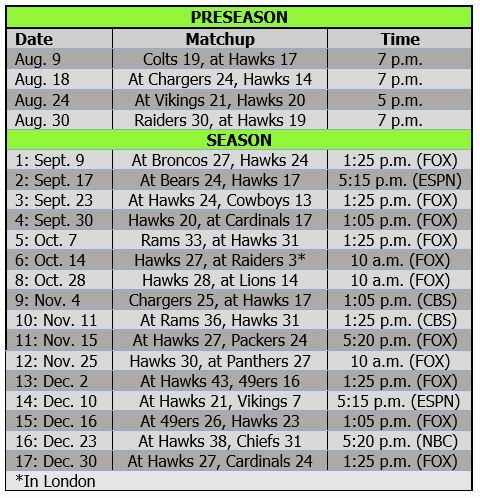 Will Hawks or any team challenge Patriots for decade’s best? There’s a lot of talk this week about the dynasty Bill Belichick and Tom Brady have built in New England — whether they beat Atlanta in Super Bowl LI or not. There’s simply no denying the Patriots have been the best franchise in the NFL for the past 16 years — and one of the great franchises in NFL history. They certainly were the Team of the 2000s — with Super Bowl wins in 2001, 2003 and 2004 — and their win over the Seahawks in 2014 put them behind only Pittsburgh (six), San Francisco (five) and Dallas (five) in Super Bowl wins. 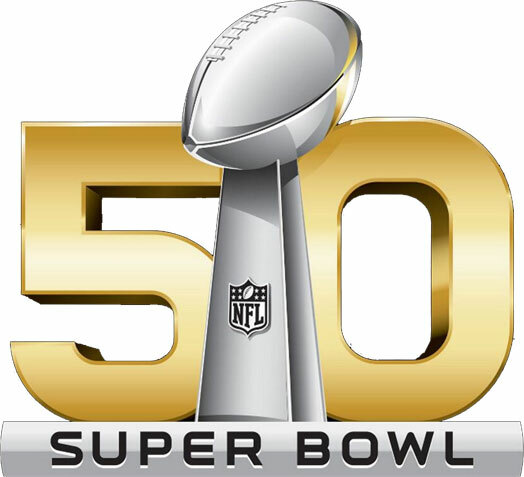 This is their NFL-record ninth Super Bowl appearance (Pittsburgh, Dallas and Denver each have eight). It’s the seventh under Belichick and Brady — no coach-quarterback combo has ever reached that many. A win over the Falcons would make them a near lock for Team of the 2010s — an unofficial title that, added to their dominance of the 2000s, would cement them as the most dominant dynasty in league history. It has been exactly a month since the Super Bowl debacle, and we still don’t know for sure whether Marshawn Lynch will return in 2015 for his sixth season with the Seahawks. But the signs all seem to indicate he will — even if he apparently thinks Pete Carroll and Darrell Bevell tried to sabotage Lynch’s MVP chances by not handing him the ball on the Seahawks’ final offensive play. 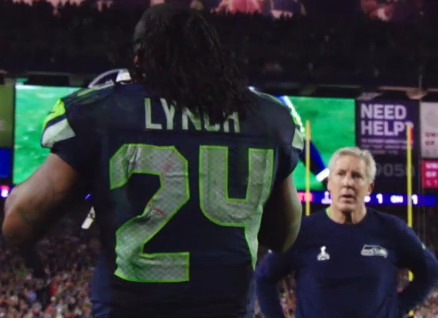 While in Istanbul for American Football Without Barriers, Lynch said he expected and wanted the ball on the final play but had no problem with the fact that he didn’t get it, even though he vaguely referenced the conspiracy theory that arose immediately after the game (probably started by him). 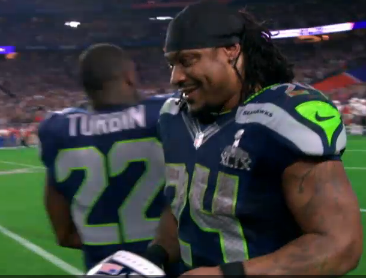 Two weeks later, Doug “Dookie” Baldwin saw the error of his ways and showed contrition for the “turddown” celebration in Super Bowl XLIX. 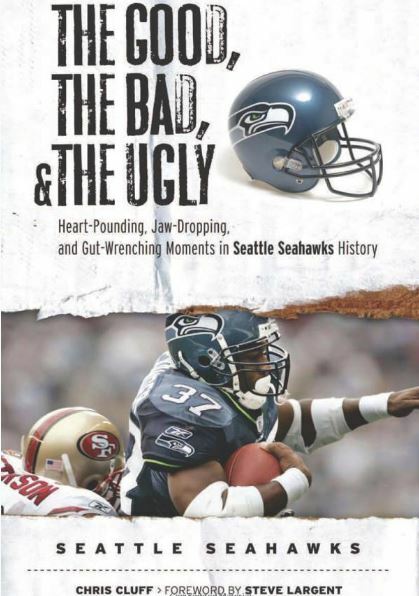 It cost his team 15 yards in a tight game, although Seattle’s defense made sure it did not come back to haunt Baldwin, who nonetheless shrugged it off after the game. 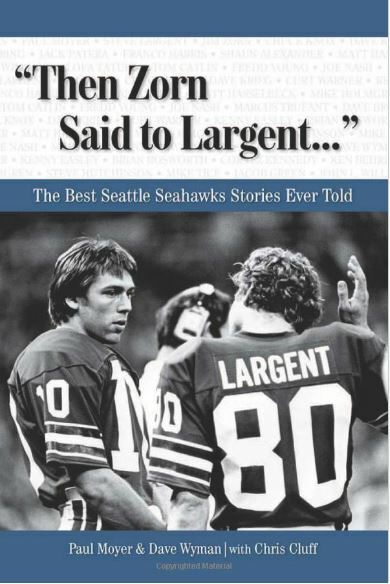 Obviously, Pete Carroll has talked to him about it, and Baldwin now knows — two weeks later — that he messed up. It still doesn’t change the fact that he and other Seahawks need to grow up and the Hawks need to surround Baldwin with better talent at receiver. 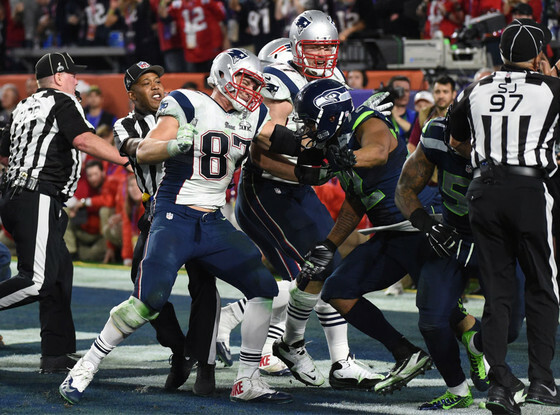 As expected, Bruce Irvin and Michael Bennett were fined for the brawl at the end of the Super Bowl. So were Patriots tight ends Rob Gronkowski and Michael Hoomanawanui. Irvin, who was ejected for being the “instigator” — reportedly received the highest fine: $10,000. The rest were docked $8,268. The real instigator, based on video review of the fight, was Seattle defensive lineman Demarcus Dobbs. And Patriots guard Dan Connolly was lucky not to get fined as well. After three straight seasons of double-digit wins, with one Super Bowl trophy already on the mantle, Pete Carroll had us believing. He had us talking destiny and dynasty. And then one ill-fated play call put an end to it all — for a moment. He’s right, of course. The Seahawks are built to last. They have more Super Bowls in them. “This is a championship organization,” Carroll told Matt Lauer of “Today.” “It’s an extraordinary time for us. We’re right in the middle of all the good, positive things that we can do. So this is what we have to deal with, and of course it’s going to make us stronger. 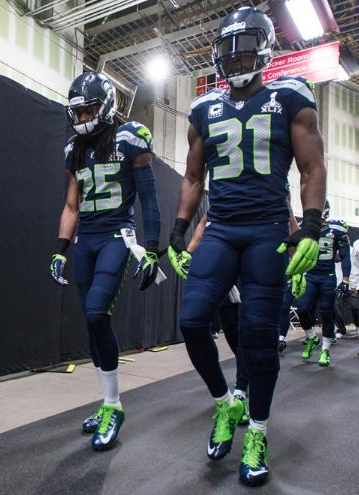 You have to wonder how the Super Bowl might have turned out if the Legion of Boom had been healthy. The news that Kam Chancellor played with a torn MCL is stunning — and just another nod to the toughness and dedication of the Pro Bowl strong safety. And don’t forget: All-Pros Earl Thomas and Richard Sherman came into the game with injuries, too — Thomas with a shoulder issue and Sherman with a bad elbow. 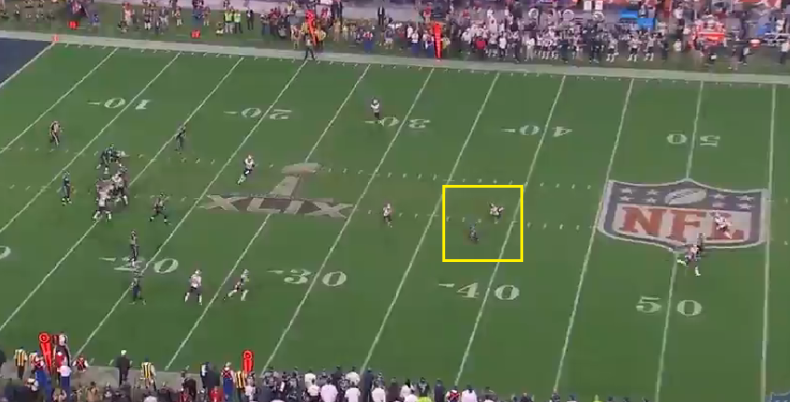 On top of that, Jeremy Lane suffered a badly broken wrist on his interception in the first quarter. It is safe to say those injuries played a huge role in the outcome — particularly with Tharold Simon giving up two touchdown passes, including the go-ahead score late in the game. 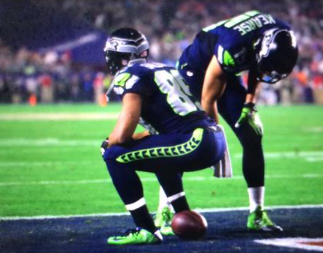 Doug “Dookie” Baldwin pretends to poop out a football after scoring. If the Seahawks have any hope of rebounding from that devastating Super Bowl loss, Pete Carroll is going to have to adjust the attitudes of some of his immature players. He should start with Dookie Baldwin. Is anyone else fed up with his act yet? First he lashed out in Richard Sherman fashion after the NFC title game, and then he performed a classless “turddown” celebration after scoring in the Super Bowl. He was fined $11,025 for the latter move — pretending to poop out the football in the end zone after his 3-yard touchdown gave Seattle a 24-14 lead in the third quarter. It was his only catch of the game as he found himself stranded on Revis Island, and yet he still felt like it was worth giving the Patriots a free 15 yards to start their next drive.